The efficiency of your pages when it comes to conversions – whether it’s for sales or lead generation – relies mainly on design elements. It’s not always about your content. Rather, it’s how you present what your audience wants to see. Unfortunately, it is a task that’s not as simple as it sounds. After researching your target audience and understanding their preferences, improving your conversion rate requires continuous design tweaks, optimizations, and trial and error. With the help of tools such as heatmaps, analytics, and other performance monitoring tools, you can test how certain design elements such as a new featured image, description, menu layout, or CTA affect conversions. You may even perform split tests to optimize your design faster, but it will still be a lengthy process nonetheless. Fortunately, you can always take pointers from those who already pulled it off. Without further ado, here are 7 of the best examples of high-converting lead generation designs from successful websites. Being personal with your audience and offering them a seamless experience in your website are two of the keys to increasing conversions. 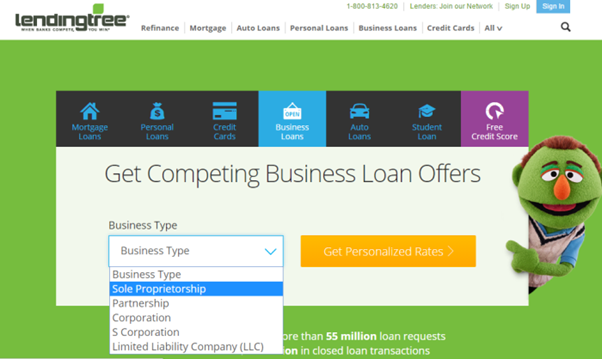 LendingTree did it right by offering pre-selected forms for different loan types. Their website cuts directly to the chase and presents users with a simple menu that gives them quick and easy access to all types of loan forms; from mortgage loans to student loans. These loan types are arranged neatly with tabs. 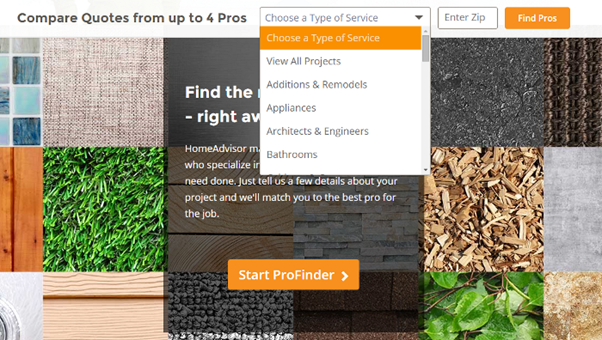 By clicking any of the tabs, users can then choose the specific form in the drop-down menu. Since LendingTree already knows the most relevant options based on their most common users, their website managed to create one of the most efficient pages online when it comes to conversions. In addition to convenience, their pre-selected forms show that they know exactly what their users want. And with the call-to-action, “Get Personalized Rates”, users are given the sense of being prioritized, which is very important for establishing a much closer connection with your audience. Some of the best-known practices for increasing conversions include making the call-to-action stand out, highlighting the benefits, and a simple visual style that makes the first two things possible. LKR Social Media’s lead generation page is one of the best examples that exercise these practices. The simple layout of LKR Social Media’s landing page eliminates the possibility of confusion. After briefly discussing their value propositions, a highlighted CTA (coloured in green) leads them directly to the opt-in form. The tiny arrow above the submit button is also a nice touch. Also remember that when using human images, users have a tendency of following their gaze. 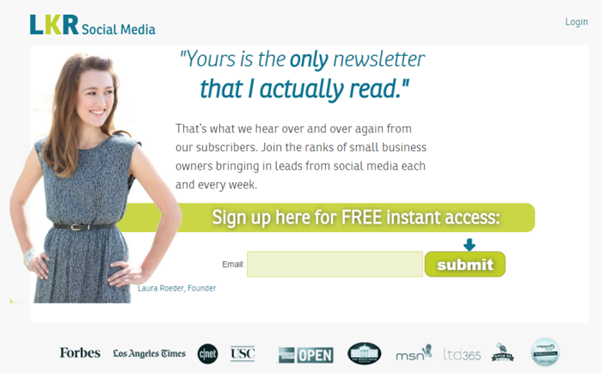 Notice how the image in LKR Social Media’s landing page looks directly at the highlights, CTA, and opt-in form. As a result, users are able to find what they should be looking at the very instant the page loads. Establishing trust between you and your target audience is one of the biggest challenges of online marketing. Remember that trust is the secret ingredient that makes users confident in clicking that “submit” button. It is not easy to build and may take just one bad customer experience to topple over. Websites like InfoUSA do a great job at reassuring their users with trust-driven copy. This copy focuses on showing what the user needs to feel confident, like a satisfaction guarantee or how many years the brand has been in business. Of course, it is not always easy to establish trust with copy, especially for startups. This is why some of the best strategies include influencer marketing and providing testimonials or positive reviews to increase confidence. 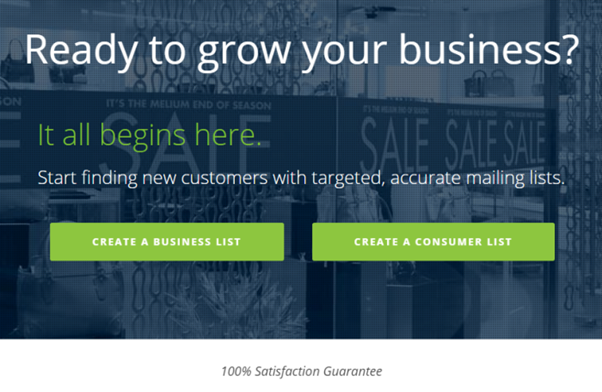 The landing pages at Alex Beadon have a lot of great design elements to maximize conversions. First of all, take note that these landing pages are not really visible on the homepage. But the site succeeds in creating a personalized experience that brings users right where they need to go. From the homepage, users are immediately presented a stylish and highly themed website to leave a lasting impression. By clicking on the specific service you’re interested in, Alex Beadon either shows you a landing page that goes straight to the point or a visually appealing, long-form page that aims to establish a closer personal relationship with the brand. Apparently, Alex Beadon succeeded in both approaches. This is clearly because, despite the different page layouts, it is clear that the website stayed true to the brand’s identity. Sometimes, a long scrolling page is necessary to show all the relevant information in one seamless experience. But if you want to maximize conversions, you’ll want the CTA and opt-in form to be clearly visible at all times. HomeAdvisor has an elegant solution that can make both possible in the same page. By having a CTA and opt-in form that scrolls with the user, you can show them as much relevant information as possible while also encouraging them to take action next. But just in case the user is in no mood for scrolling, HomeAdvisor immediately presents them with what they need to do. Remember that the scrolling CTA should only be activated if the user actually starts scrolling down the page. Until then, a clean and functional CTA and opt-in form is presented to them when the page loads. This form also enables users to simply search for the specific service they need. Although it’s not really unique, it is a great feature to have in opt-in forms. Knowing your target audience and understanding exactly what they need and want from you is the key to providing relevant content. In turn, you can maximize conversions by making it a lot easier for them to access it. 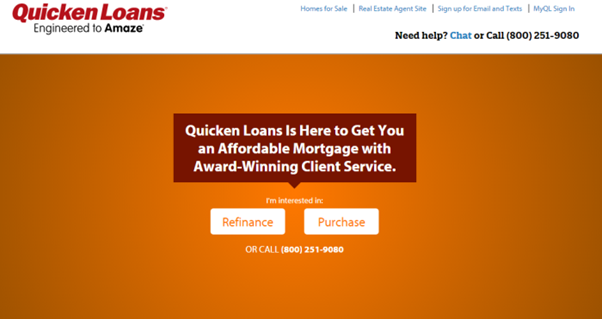 QuickenLoans immediately segments their users on their landing page before they are presented personalized menus. From then on, they will be receiving highly targeted content that will maximize both engagement and conversions. The principle is similar to creating pre-selected forms. The main difference is that the users are encouraged to interact more with the brand, especially with the alternative CTA that recommends calling thru phone. Nevertheless, the page design succeeds in building the user’s confidence and experience with the website. Keep in mind, however, that preselected form works depending on different factors. There can be a tendency for your audience to question preselected forms as a way to limit their choices. “Deploying a configuration screen with one or more options pre-selected raises questions regarding how ‘free’ a choice this is, how considered users decisions will be, and how many will choose the alternative (unfiltered) option,” according to this post at Critical Science. Most landing pages featured above have a visible signup form that visitors can act upon after the site loads. This is common practice among website owners if they intend to maximize conversion rate. With Magicdust, there is no evident signup form that visitors can fill out at the onset. 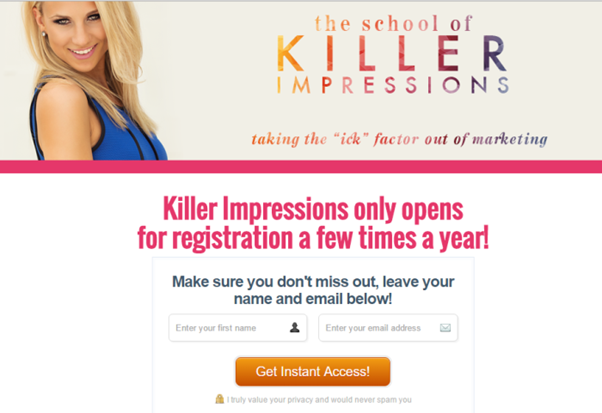 So why was this included in this list of inspiring lead generation examples? The magic is in the focus of the actual services. The page layout of this Sydney web developer site is geared towards educating and presenting to visitors the variety of services offered by the site. As visitors scroll down, the page features the brands that have tried out their web design services before, the reasons why you should use their services, and testimonials from their previous ad current clients. More importantly, the “request a quote” dialog bubble follows visitors as they scroll down the page. Once the web copy has convinced visitors about the site’s services, they can click on the bubble to reveal the signup form. This is a smart way to showcase your CTA. Instead of bombarding your visitors with a signup form upon loading your page, you could instead acquaint and educate them first to your services. Once they become aware of what you offer, they can choose to request a quote by clicking on the scrolling, non-intrusive button to show your signup form. Integrating interactivity in a site often comes with performance-related issues. But when it comes to landing pages, it has consistently provided beneficial effects. For example, if there is a website that knows interactivity in their opt-in forms, it is AvantCredit. 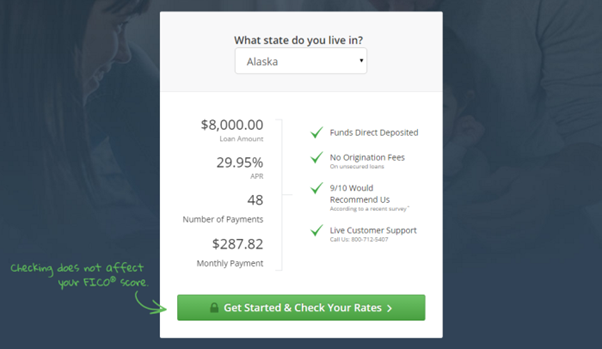 In the past, AvantCredit used to have a slider for the numbers field, allowing users to easily check their loan rates without leaving the main page. This method is still being used in other websites that feature payment/rate estimates. Now, the site allows users to specify the state they live in for more reliable and accurate rate estimates. Using the clean interface, AvantCredit organizes both the relevant information and the highlights of using their service in a single landing page. Additionally, they made the CTA button stand out with a simple visual element (handwritten note and arrow). 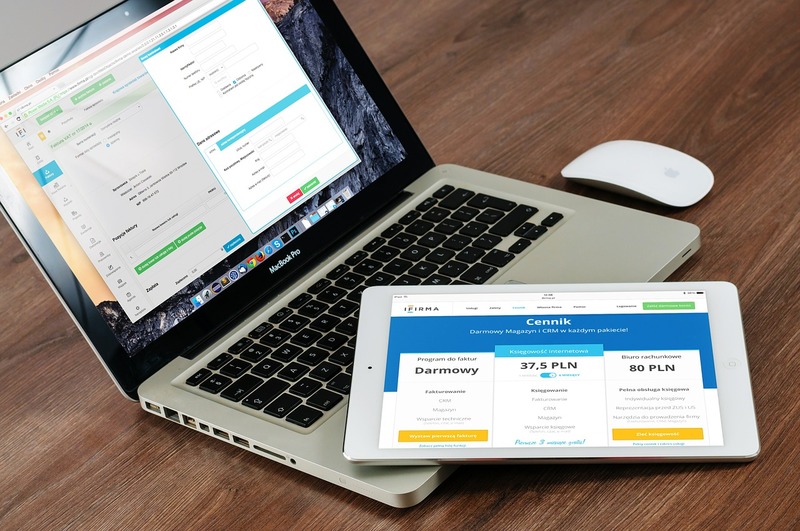 This combination of different landing page design practices can maximize conversions. So if you want to maximize your conversions for your own site, you should always be willing to learn the winning methods from the experts. How Can You Replicate these Lead Generations Designs? Hire a designer with programming skills to help you create an appealing opt-in form for your site to maximize conversions by turning visitors into subscribers or clients. If you do have design skills, then you can follow these tips on how to build high-converting forms for your site. If you are using WordPress to run your site, there are lots of impressive opt-in form tools to help you build a beautiful form that is bound to rack up signups. Best of all, these tools do not require you to have design skills to create. If you want a holistic approach for your lead generation campaign, which includes opt-in form, list building, A/B testing, and email marketing, then use a tool like GetResponse to get the desired results.